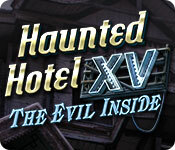 Our Haunted Hotel XV: The Evil Inside Collector's Edition Walkthrough is prepped and ready to welcome you into the Alexander Valentine Hotel, where guest check in and end up getting a permanent stay! As part of the crew of a paranormal television show you look forward to your latest adventure; that is until you realize that your cousin and the rest of the crew have all become part of the lore of this creepy hotel. It is up to you to stay alive and attempt to resolve this creepy mystery of paranormal phenomenon. Be careful when you check in - because you may permanently check-out! Jump into the latest and greatest hidden objects adventure out there. Use our Keeper of Antiques: The Last Will Collector's Edition Walkthrough to help you solve this case of the mystery and intrigue as you uncover the forces behind the disappearance of an entire building, its inhabitants and the people around it. Celebrations of the 200th anniversary of the town of Netville came to a frightening halt when a mysterious artifact prompts these random and abrupt disappearances. Help ease the fear of the town before becoming a victim yourself. Turn to us and our simple instructions and vibrant screen caps that will help you wrap this case up in a jiffy. 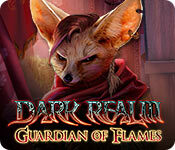 We have included mini game & hidden object area solutions to help you when challenges abound. 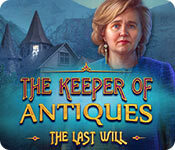 We hope that you enjoy our Keeper of Antiques: The Last Will Collector's Edition Walkthrough. 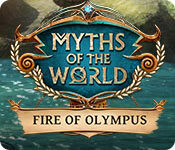 Myths of the World Fire of Olympus is primed and ready to immerse you into the mystique and intrigue of Greek mythology. Lysandra, the goddess of eternal frost is in a desperate search to restore her powers, return to her world and free her father from the punishment of Zeus. Made to be an example to all, Prometheus’ actions have had serious repercussions on his daughter who has been stripped of her powers and banished to the mortal realm. Help her find her way back into position and save her father in this exciting hidden object adventure that will keep you guessing until the very end! Enjoy the full sensory experience of Glass Masquerade. Delve into this mosaic puzzle game that will take you around the world as you solve puzzles based on stained glass artisans of the 20th Century & art deco design. The myth & allure of each country will be unlocked as you progress through the 25 levels of visually pleasing gameplay. A challenging albeit relaxing & satisfying experience is yours for the taking. 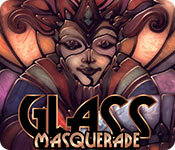 We hope you take & enjoy the aesthetically pleasing journey into Glass Masquerade! Boston PD Detective Emily Meyer is in pursuit of a serial killer in this heart pounding hidden objects adventure Ghost Files: The Face of Guilt. Collect and analyze the evidence as you hit the streets of Boston to hunt down the notorious “Guilty Man.” With no solid leads and just gut instinct you are offered help from Sarah – a psychic who vows to help you uncover this treacherous killer. Take assistance where you can get it detective as this is no simple open and shut case! 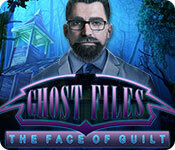 We hope you enjoy Ghost Files: The Face of Guilt. Ahoy Mates! The lure of the sea is calling in Lauraville 6. Explore a brand new challenge in this exciting pirate adventure. Immerse yourself into the superior graphics and witty storyline as you gather your coins and navigate obstacles in order to progress. Plundering pirates left behind evidence of where they buried their treasure and our favorite ghosts are out for the hunt! Move with skill and purpose as the island only reveals itself for a short period of time – so remember time is of the essence. Join the ghosts as they race to uncover the treasures of the sea in this hotly anticipated Match 3 – Spot the Difference adventure! 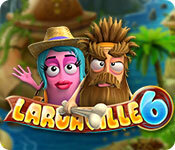 We hope you enjoy Lauraville 6!